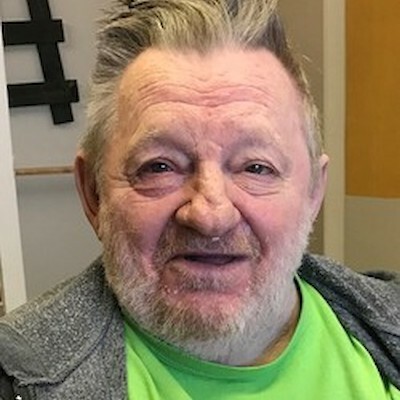 Joseph "Joe" Conrad Kinnick, 72, of Rice Lake died Wednesday, March 13, 2019, at Heritage Lakeside. He was born February 25, 1947, in Rice Lake, WI to Edward and Marian (Kubista) Kinnick. He was married in an airplane while flying over the Rice Lake area to Marie Uchytil who preceded him in death in 2001. Joe worked for the railroad for 20 years. Joe was a very active man in his youth. He played baseball, and went to state for wrestling and won in 1965. Joe had a passion for airplanes and loved to travel to Oshkosh to watch the air show. He loved to fish, was an avid mushroom picker, and made delicious turtle soup. Joe had a sense of humor and had a lot of fun. He lived life to the fullest. He was a competitive cribbage player and enjoyed playing cards. Leinenkugel's was his favorite drink. Joe is survived by his siblings: Mary Ann Haines, Bernard (Ginny) Kinnick, Gene Kinnick, Rita (Pat) Callan, and Delores Kielas; brothers-in-law: Ray and Gerard Uchytil; many nieces and nephews; and other family and friends. Joe was preceded in death by his wife, Marie Kinnick; his parents, Edward and Marian Kinnick; brothers: Edward Jr. (Beverly), Norbert (Donna), and Doc (Ann) Kinnick. Funeral services will be held at 11 AM Monday, March 18, 2018, at Holy Trinity Catholic Church with Father Dave Oberts officiating. Visitation will be on hour prior to service. Burial will be in Holy Trinity Catholic Cemetery, followed by lunch at the Cousin's Hide-Away in Haugen. Pallbearers are Mike Kinnick, Charlie (Jim) Kinnick, Jeff Kinnick, Mike Swanson, Jeff Kahl, and Gerard Uchytil. Skinner Funeral Home of Rice Lake is serving the family.